The Australian Geoscience Council (AGC) is pursuing our Vision to raise the profile of Geoscience to be pre-eminent in Australia and to be recognised as one of the great fields of general science with Physics, Chemistry and Biology. As part of this Vision, the AGC has instigated an award for National Geoscience Champions that will be made on behalf of AGC’s eight member organisations who represent over 8 000 geoscientists around Australia. This honour will be bestowed on very few Geoscientists and will recognise major contributions to our science, craft and art, evidenced by technical, leadership, mentoring and collegial endeavours. In recognition of her contribution to Geoscience in Australia, Marita Bradshaw has been selected as a National Geoscience Champion by the Australian Geoscience Council. Marita Bradshaw is a leading petroleum geologist who has worked tirelessly in developing and providing relevant, high-quality data and analysis for the oil and gas industry. 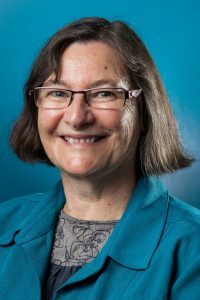 She has made significant contributions to Australian geology by developing the Australian petroleum systems framework and by building new understanding of the petroleum geology of the southern margin, North West Shelf and Lord Howe Rise. Marita is an effective and engaging communicator, as well as a highly-regarded mentor and educator. She is an outstanding role model for industry -government cooperation for the betterment of Australia. Her enthusiasm, passion, and commitment have helped promote Australia’s oil and gas potential both nationally and internationally, and have especially helped in the search for new petroleum provinces in the country’s offshore sedimentary basins. In recognition of his contribution to Geoscience in Australia, David G roves has been selected as a National Geoscience Champion by the Australian Geoscience Council.David Groves is a pre-eminent Australian academic economic geologist. He passionately harnesses the outcomes of research to directly support the discovery of minerals in Australia while instilling in others the importance of the big picture in trying to understand mineral systems. 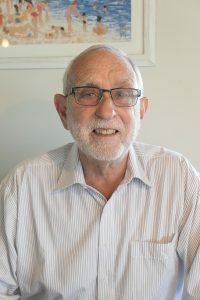 He was at the centre of successful efforts to better understand komatiite nickel deposits in the 1970s and Archean gold deposits in the 1980s and 1990s, effectively leading and inspiring diverse teams of researchers. The results of his research are now embedded in standard mineral industry exploration practice. Over his 45 year academic career up until 2016, David supervised a remarkable number of students including the successful completion of 91 PhD, 53 MSc and 118 BSc (Honours) degrees. His ideas have inspired and shaped several generations of leading Australian geoscientists. In recognition of his contribution to Geoscience in Australia, Roy Woodall was unanimously elected as the inaugural National Geoscience Champion in 2015. Roy’s scientific approach to exploration, coupled with his use of the latest geological techniques, contributed greatly to many significant ore discoveries in Australia. His catalogue of discoveries include the Kambalda nickel field (1966), uranium at Yeelirrie (1971), the Olympic Dam copper-gold-uranium deposit (1975), the St Ives gold field and the East Spar oil-condensate field (1993), together with a large number of other discoveries. Roy set high scientific standards, ensuring the recording of scientific data and using the best equipment and analytical facilities available at the time, leaving a significant legacy of scientific methodologies and successes. Roy’s standard of training and mentorship of other geoscientists has advanced the capabilities of Australia’s mining and exploration industries and the development of our nation. 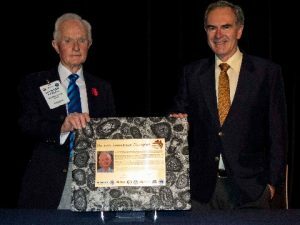 Roy Woodall with AGC President, Bill Shaw, following presentation of a plaque recognising AGC’s inaugural National Geoscience Champion. The presentation was made in November 2015 at the International Mining and Resources Conference (IMARC 2015) in Melbourne during the ‘AusIMM Explorers’ Forum – Challenges and Opportunities’, also known as ‘The Woodall Symposium’. Nominations should be concise and not exceed more than 500 words or an A4 page. Please forward succinct, detailed nominations to president@agc.org.au or admin@agc.org.au.